"Sweden’s Bleak is fast becoming an essential part of his country’s techno new school. Through releases on Deeply Rooted House, Sudden Drop and Traut he has emerged as a producer of funky, loopy techno a la countrymen Skudge. Here he debuts on Delsin with a fierce two tracker, Origins of Chaos. 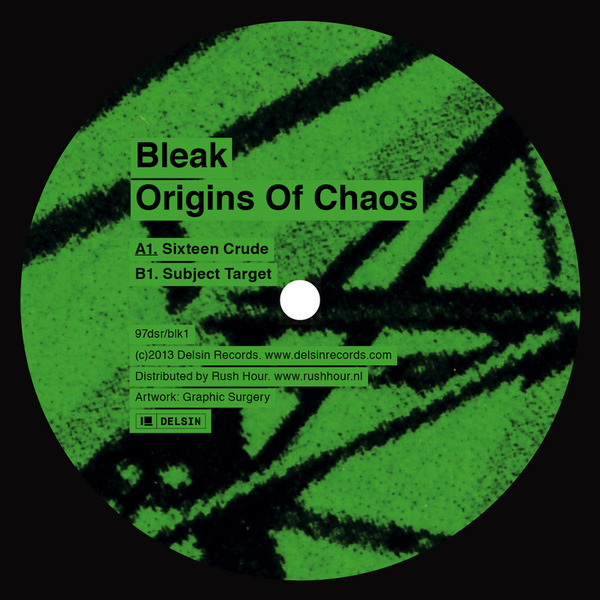 The first track ‘Sixteen Crude’ is a cantering techno cut with searing, warbling synths racing along above lazier, underlapping kicks. It’s a nice contrast that gives the acidic track plenty of depth, before the flipside, ‘Subject Target’ deals in more convoluted, whip-snap lines that thrash about like cables in a storm. Industrial yet human, it’s timeless techno that wraps you up in its midst and never lets you go."